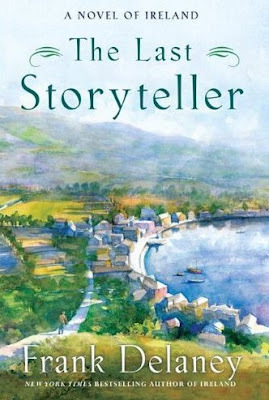 Frank Delaney's next release is the conclusion of Ben McCarthy's story, which began with Venetia Kelly's Traveling Show and The Matchmaker of Kenmare. I still haven't read the first book, but I thoroughly enjoyed The Matchmaker of Kenmare and plan on picking this one up to next year. Returning hero Ben McCarthy's rich and surprising saga comes to a stirring close. Ben is at last reunited with his beloved Venetia Kelly - but the path to true happiness never did run smooth, and it won't for Ben, especially since the backdrop of the Irish Republican Army campaign along the Irish Border, which began in 1956. The period was one in which Ireland was impoverished - financially, emotionally, and intellectually - and mere national survival was no sure thing. I am supposed to read Delaney this year, but still haven't actually done so. I should get cracking because his books do sound good... I always buy them for my grandmother, so at least she has read him over the years. Frank Delaney is such a meticulous writer of history. For those of us that who to know all of the details, he's the one to read. Thanks for the synopsis, Amy.